The game's cutting room floor had some interesting ideas. Head back in time to 1989. You already know Tetris, so now demo everything else. There's more to Tetris Effect than just VR. Enhance's Tetsuya Mizuguchi and Mark McDonald guide us through what this version has to offer. The creator of Rez and Lumines transforms Tetris into fun audio-visual hallucination. Tetris may be perfect, but it could still get better. Tetris Efffect is basically a Lumines sequel where you play Tetris instead, and it's great. 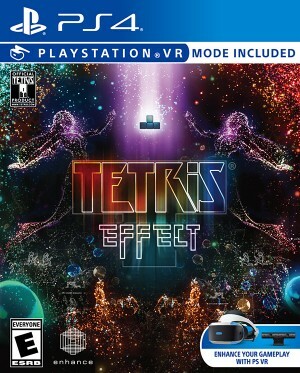 Tetris Effect is the latest game from Tetsuya Mizuguchi, featuring breathtaking effects and VR support.